Are you ready for the final season of Game of Thrones? So are we! 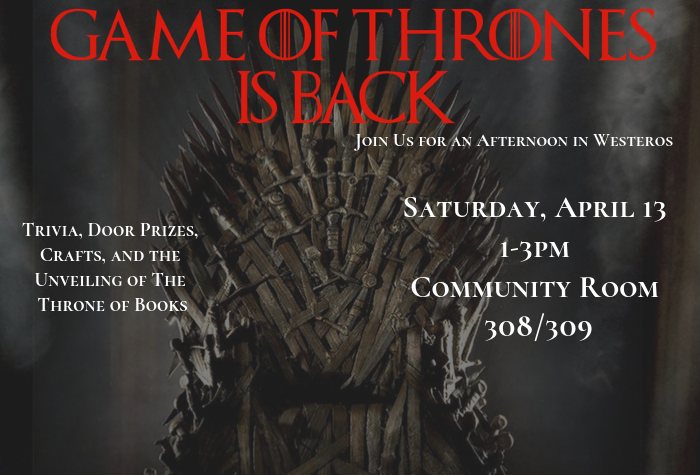 Come spend an afternoon in Westeros, sit in our Throne of Books, get your picture taken with Jon Snow at the Wall, and much more! Enjoy tons of door prizes, TRIVIA, crafts, small treats ad a 3-D printing demonstration.